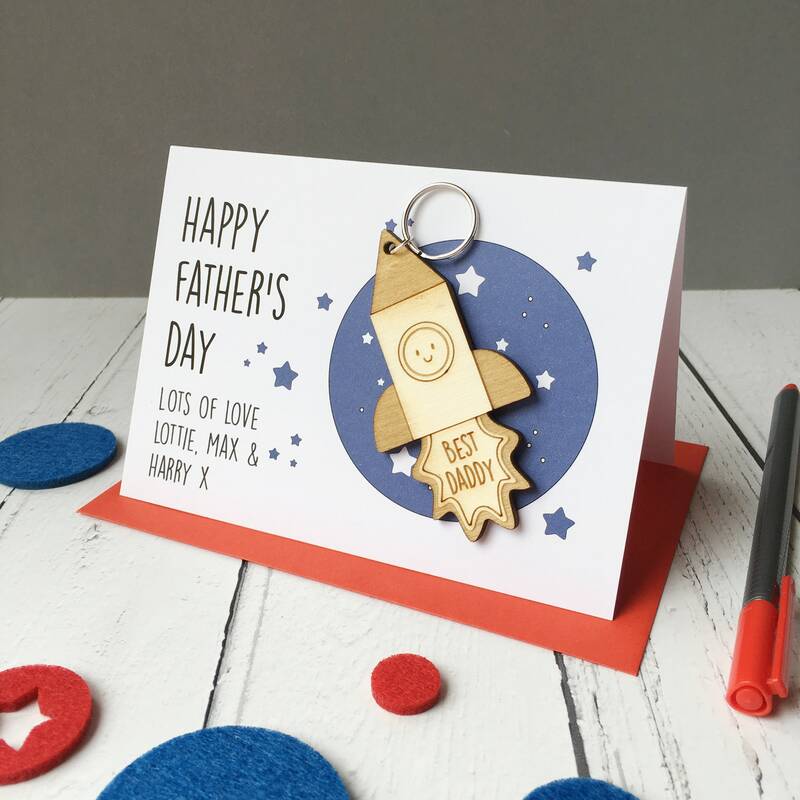 This super cute space themed First Father's Day Card is a great card and gift in one. 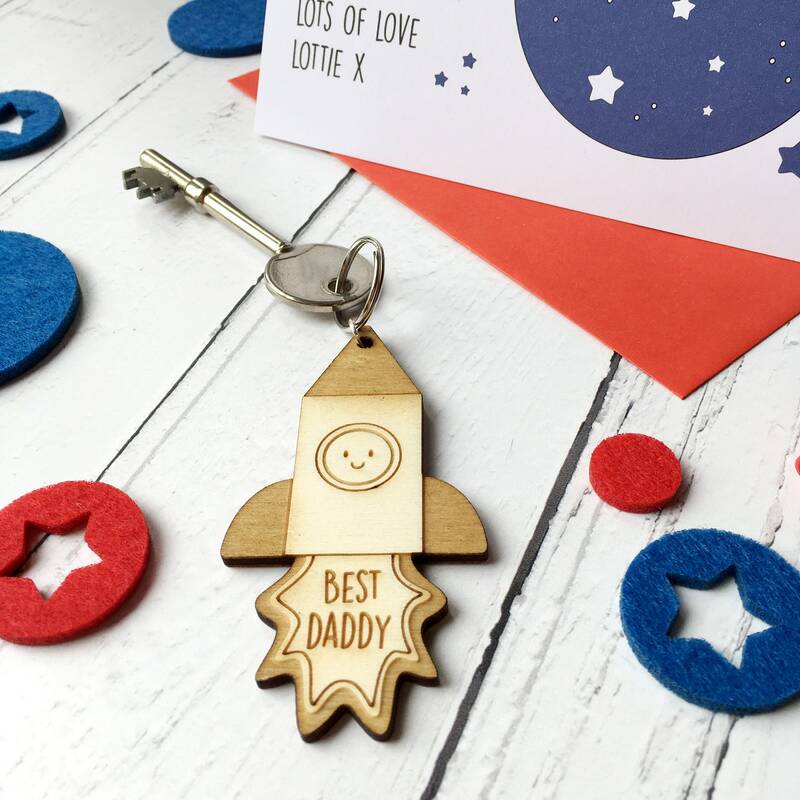 The card comes with a personalised rocket keyring with the message "Best Daddy" on the front and on the back "lots of love" and your children's names. 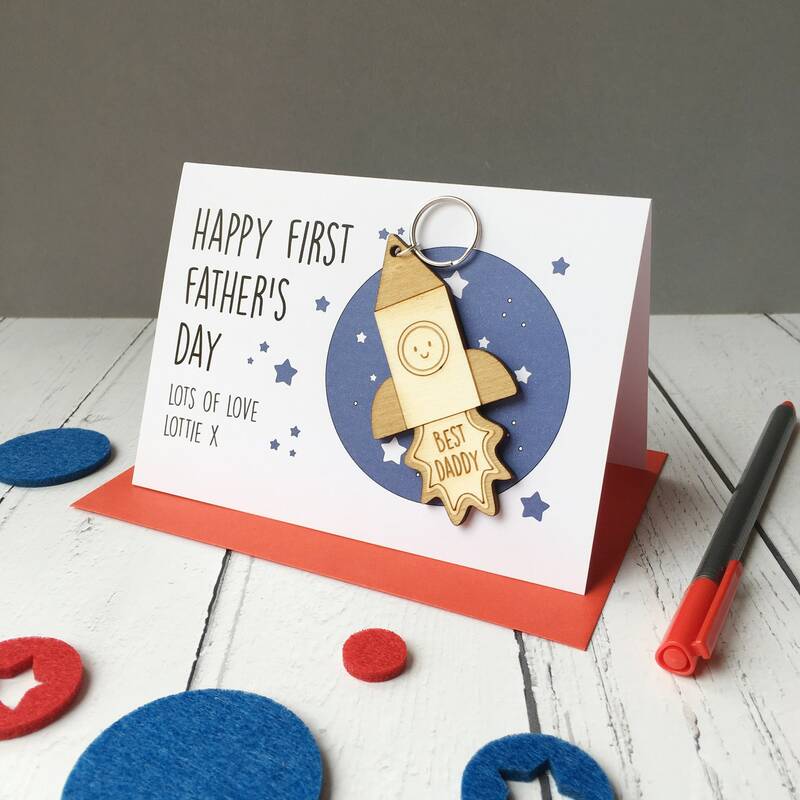 The card can read "First Father's Day or Father's Day!" 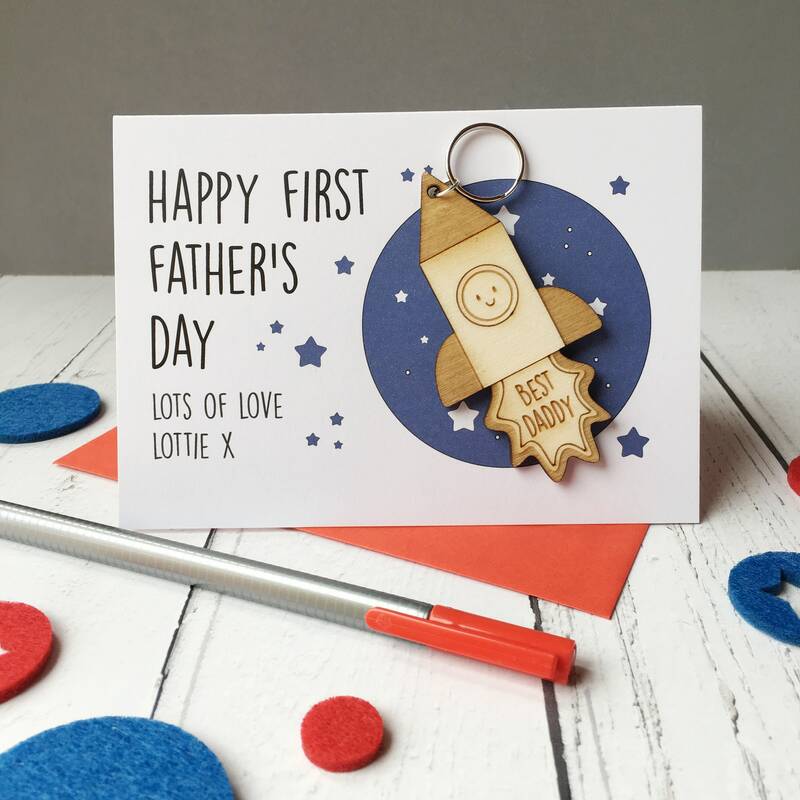 and the child or children's names are also added to the front of the card. Each card is individually printed on 100% recycled 270gsm ivory matt board. 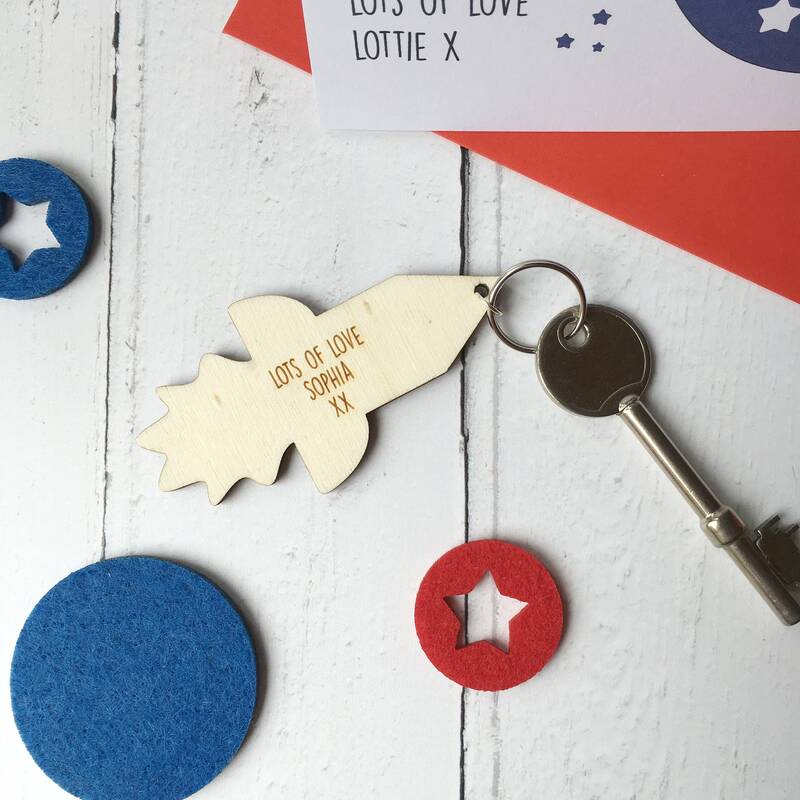 The keyring is made from 4mm thick plywood. It comes with a bright red envelope and is placed in a clear packet and sent in a board backed envelope for safe transit. To personalise your order please supply the child's name for the back. 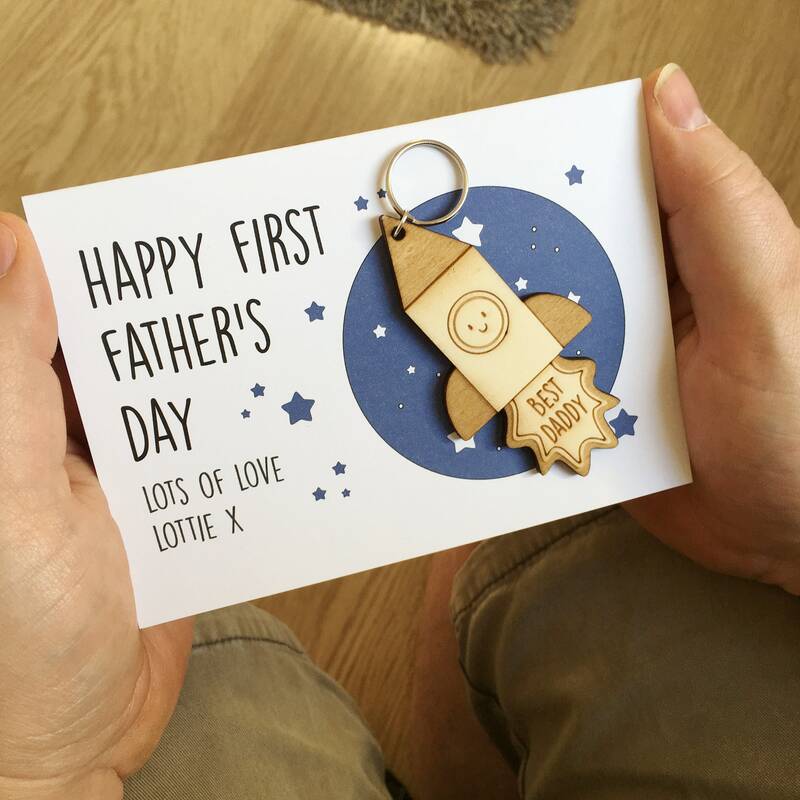 Quality made, a great custom card and the key ring is very cute! Such a good idea for a card, my husband will love it! It was delivered very quick, thank you!